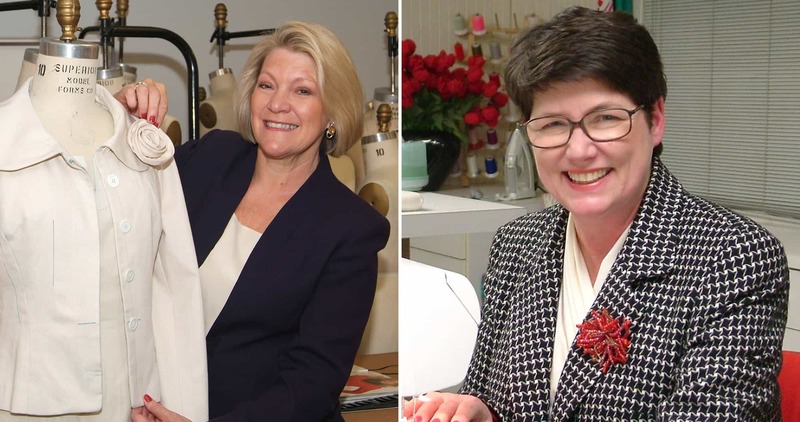 Here is the interview I did in my September with one of my sewing heroes, Pati Palmer, who with her co-author Marta Alto, who has been a huge influence on my sewing journey, both when it comes to learning proper sewing techniques and understanding fit. Their books Fit For Real People and Pants For Real People are those I reach for every time I’m making a new pattern and I also love their books on sergers. 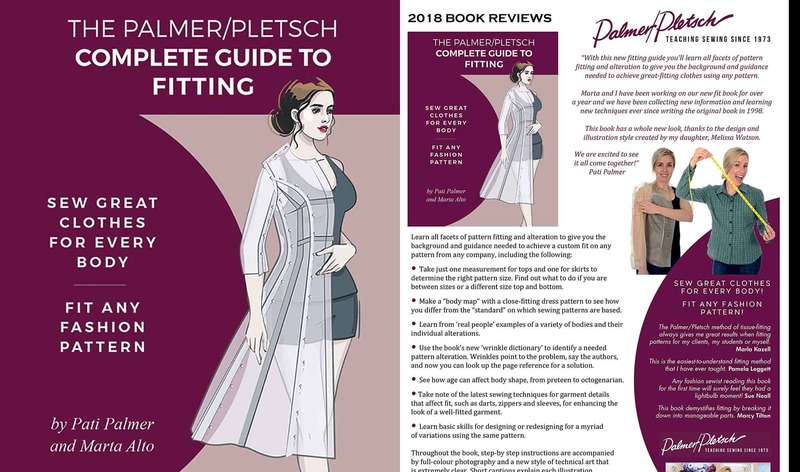 Now they have published a new book about fitting; The Palmer/Pletsch Complete Guide to Fitting (Amazon Affiliate Links) that I was really curious to find out more about. Hi Pati! What is new in The Complete Guide to Fitting compared to your original fitting book Fit For Real People? It’s been 20 years since we published Fit For Real People. It is still a great book and has all the great examples of real people. We still have fitted real people in the new book, but all have varying issues, so hang on to the first book for reference. We have been teaching hands-on classes ever since and they are our research laboratory. We were very ready to write a new book and share new and improved techniques for fitting. 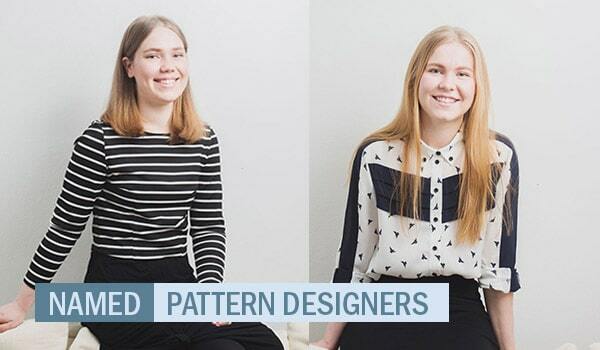 Marta has developed an order of altering for combined alteration needs. We have also developed a new fit order in general that we’ve been refining for about 6 years. The new art is more 3-dimensional and very clear. This is such a technical book–I know because I spent 1 1/2 year writing it and over 20 of our teachers read and edited it. Amazing what different readers caught; however, we’ve already found a couple of typos. I conclude there is no such thing as a perfect technical book! My daughter Melissa Watson designed the book and its art. Melissa is 32 so of course she gave the new book a new modern look, she also designs for McCall’s–young modern clothing of course! I appreciate that you don’t focus on sizes in your books, just individual fit variations. What are your thoughts on embracing our bodies and how it pertains to fitting clothes? We have to accept our bodies and learn to fit what we have. I have big hips and knowing how to fit and dress, makes me look a lot less hippie than I am. Fitting can be overwhelming. What are some key areas to focus on before moving on to the finer details? You need to follow a certain order to be successful. For example, don’t determine the amount you need for full bust until you alter for a broad back if you have one alter the back first, then measure the front. We have a new very refined fit order in the new book. And when we revised the pant book, Pants for Real People in 2012, we put a very important fit order in the new book. It is even more crucial for pants to follow the order. Plus updates, sneak peeks and other fun stuff! Video: Help me solve these sewing frustrations!